More than four years after the market launch of the current generation the smart fortwo remains on the road to success. Until today over half a million models of the innovative two-seater have been sold. And sales continue to rise: since the beginning of the year 69,073 smart fortwo have been delivered to customers around the world, 6.6 percent more than in the same period last year. “Our smart has long since evolved into an icon, which is indispensable in the cities of the world,” says Dr. Annette Winkler, Head of smart. 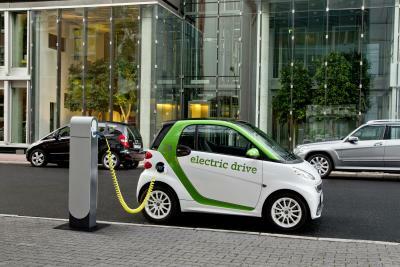 With the third generation of the smart fortwo electric drive smart is once again setting standards. It will be available for ordering from spring 2012. Those who would like to be among the first owners will have the opportunity to make a reservation online as of the fourth quarter 2011. For the further development of the car the company was able to integrate extensive experience of about 15,000 test runs and customer feedback from various electric mobility projects. For example, this is reflected in clearly improved range and engine performance. The new sales model will make the introduction to electric mobility particularly attractive for customers. With the ‘sale&care’ model customers can buy, lease or finance the vehicle at an attractive price for less than EUR 16,000 before tax and rent the battery for less than EUR 60 per month before tax. As a result, production at the smart factory in Hambach, France has already been ramped up to a five-figure volume starting 2012. In Germany customers will be able to drive the new electric completely CO2-free as the company will provide additional ‘green’ electricity. As an ideal addition to the portfolio, the smart ebike will be launched in the second quarter of 2012. As a true smart on two wheels it is exceptionally well-positioned thanks to its unconventional design in line with the style of the brand, functions appropriate for city use and high technology standards. The smart ebike, which has been developed and built in collaboration with the e-bike manufacture GRACE, will initially be distributed by smart dealers in Europe and North America. Through clever solutions such as the integrated USB port for smartphones or energy recuperation during braking the smart ebike has become a truly high-tech product, and it is being sold in Germany for a very attractive price of less than EUR 2,900. Since January the facelifted smart fortwo continued to develop positively with growth of 6.6 percent compared to the same period last year – 69,073 vehicles were sold (64,819). Germany remains the most successful market for the smart, where 20,286 vehicles have been sold since the beginning of the year (plus 13 percent). As a result, the smart is the best-selling vehicle in its segment during the year to date. However, the smart fortwo is also developing well in many other markets – above all in China. Until May this year sales have already surpassed last year’s total sales figure; since January almost four times as many smarts have been sold than in the period from January to August 2010. In August, sales jumped another 141.5 percent.